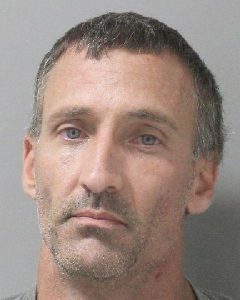 The investigation by Ouachita Parish Sheriff’s Investigators into a recent theft and burglary at a trailer park on Arkansas Road in West Monroe has led to the arrest of Monty Shane Crawford, age 42 of West Monroe. Crawford is accused of taking air conditioner coils and a utility trailer loaded with aluminum windows from the trailer park. The utility trailer has been recovered. Crawford has been booked in OCC on one count of Felony Simple Burglary, one count of Simple Theft and one count of Illegal Possession of Stolen Things. The investigation is continuing.